First, a sincere thanks to all for your words regarding my friend Rachel, whom I visited last week. When I left, I felt infused with her vibrant life force, awed by her equanimity, and strengthened by her resolve. That evening, I met another friend, whom I'll call "Colette". Rachel and Colette do not know one another, but share wild, irreverent senses of humour, love of art and music, and eclectic, avid reading habits. They also share, temporarily, another characteristic neither wants, unintended weight gain. Due to a medication side effect (being addressed), Colette is much heavier than she wants to be. But there you are, these things happen. Greeting her, alluring as ever, in the bar of a posh hotel, I didn't notice till she lifted her chic silk blue-grey tunic to reveal a roundness that has furloughed her usual wardrobe. Among other things, we discussed the Clothes Problem (which had happened to me, too). 1. If you gain weight, do not lose your mojo, girls! 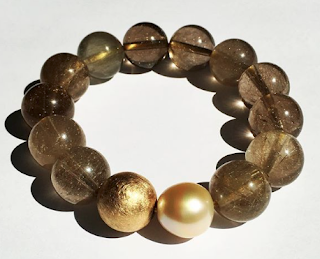 Buy a few good-quality pieces that shimmer with drama and wit, and wear the mess out of them. 2. Order from specialty-size merchants on the Internet unless you have an exceptional local shop that understands that voluptuous women do not want rectangular, boring clothes. 3. Don't save your bucks for the day when the old number bobs up in the scale's window; you will hate the clothes you have relegated yourself to wearing, and then hate yourself. But at the same time, buy what can be altered, if you are on a mission to shed the extra weight. 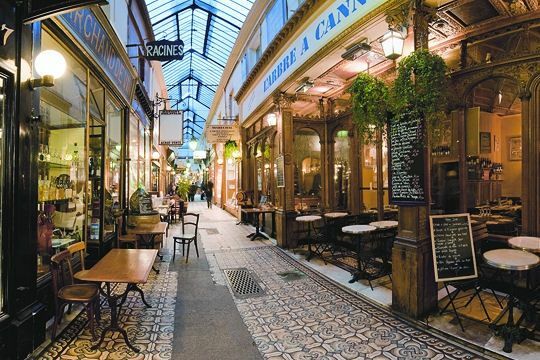 (Some health conditions can cause a permanent gain, but not Colette's.) Pants can be cut down one or at most two sizes, but skirts are much more flexible, and some sweater styles will magically fit you over multiple size drops. 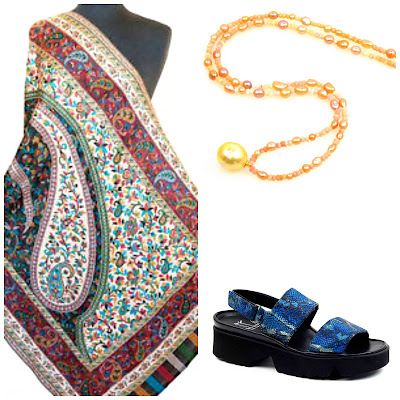 I found some gorgeous examples for my friend, who dresses with expressive and original style. Colette loves skirts and dresses, so I've favoured them over pants, and besides, they show off her pretty legs, which betray no evidence of this medication weight. Anna Scholz Ciara top; price, £125. 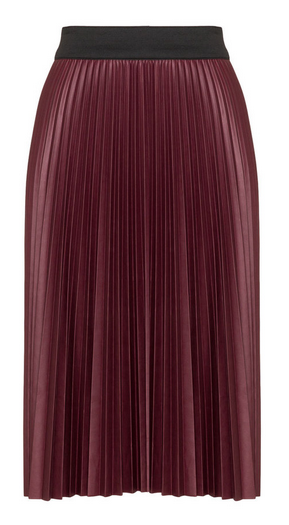 A sophisticated woman needs a dress like this; size is irrelevant. 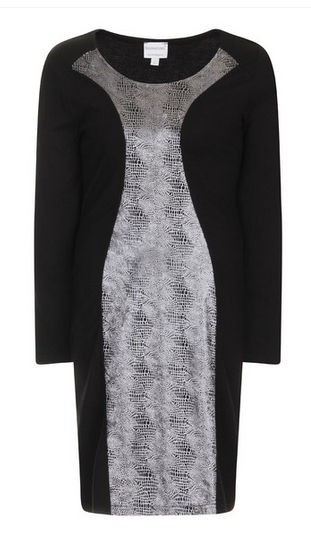 Signature black and silver snakeskin dress, £70 at Via Moda. 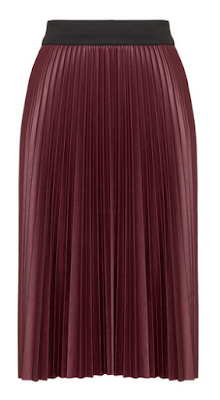 Persona by Marina Rinaldi semi-gloss pleated skirt, $US 251 at Navabi. 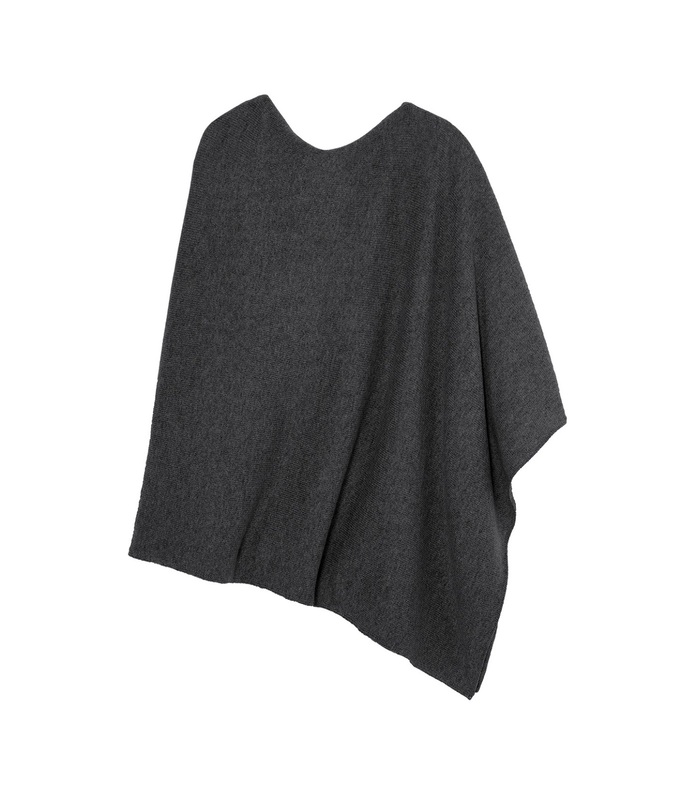 Cashmere is a necessity in our winters; this long poncho will fit no matter what. You can also wear it as a scarf, or, thanks to its length, belted. Rich grey is a Colette colour. Eric Bompard long poncho; price, €246—my friend will spring for a luxe item if it makes her heart race, but I might wait for the January sale. C. is known for colourful coats. If she's reading, she will either tell me I got it right or horribly wrong, so I'm showing two. 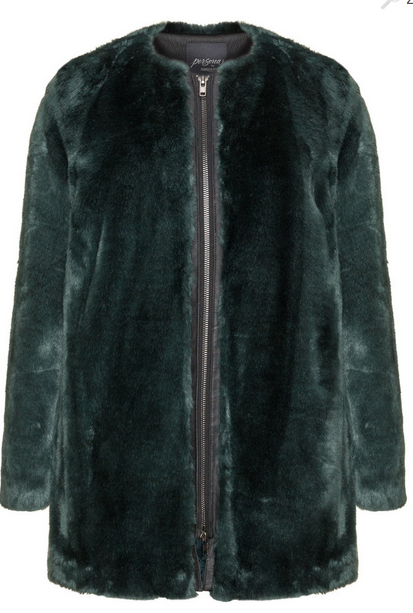 I'd put her in this deep green faux fur: it's warm, audacious, and would either alter down or be desirable on the resale market. It's breathable and dries quickly. Anyway, I like it! Persona by Marina Rinaldi faux fur coat; price $US 500 at Navabi. 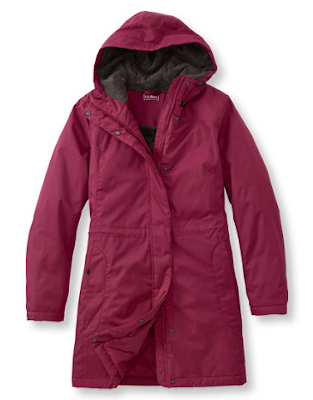 LL Bean Winter Warmer coat; price $US 129; free shipping to USA and Canada. Isn't it strange? The very moment your natural reasoning says to cut back and wait until you are size whatever again, it is wisest to spend within reason on a special item, or several if you can. You are affirming your self-assurance. The hunt takes effort, and price points rise, but that means choice is more considered than the time when nearly everything was a possibility. There are many of us who are coping with a circumstantial body shift. Or, for other reasons, a gain has settled in for a longer stay. Rather than berate or bemoan, let's be, period, and look as deeply ourselves as ever. Ah--this is a very relevant post for me Duchesse. Due to having to take SEVERAL courses of Predisone for asthma some months ago,(and some additional stress) I had an unintended weight gain of about 12 lbs on TOP of another 15 lbs or so that was already extra. I had some lovely summer dresses that went unworn due to this weight gain and now have some lovely winter pants I fear will not fit either. I think the most difficult thing is finding clothes that fit--no matter my weight--but having extra makes the whole hunt more challenging. I found some very nice ponte knit pants at J Jill. 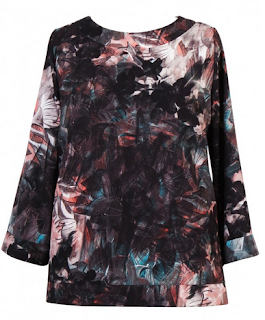 They are every bit the quality of Eileen Fisher at way less than half the price. Best of all, they come in petite, regular AND tall sizes. I would not hesitate to spring for a very quality item if one puts itself in my path. Thank you for the encouragement! Meanwhile, I am working on losing the extra weight. Brava, Duchesse. I was just dismayed by a recent photo and lapsed into a case of self-loathing. It will not make me a thinner or more pleasant companion. It is a "boring" attitude and it need not be exacerbated by boring clothes. Certainly, there are lots of online choices and those of us who teeter on the edge of "plus sizes", it is better to buy the roomier style and to alter the item as needed. I love the choices that you have made for your friend. Excellent advise which I'll take to heart. You are a wonderful friend. Thanks for this post. Another great post to start my day. I agree with Jane, you are a wonderful friend. In the past I've gained and lost substantial amounts of weight, happy to be on a more even keel now although it's still not easy. You've introduced me to the world of cashmere and other beautiful things and it has made a big difference in the way I feel about myself even though I'm on the larger size according to the dictates of the clothing industry. Never feel that your words go unnoticed or unappreciated. I always enjoy your posts but rarely comment. I will be 70 next year and although I tell people that I am 5' 10" I am, in reality 5'2." I comment now for 2 reasons. I have gained weight - too much. But I am taking meds that make me gain. That said, I really only wear 2 brands of clothing with maybe a few other pieces. I wear FLAX (which is mostly all linen (and is the reason that long ago I opened a store). I also wear Blue Fish. It is primarily knit cottons and plain cotton and linen. Lots of layering. Blue Fish was a price point too high when I had the shop ... but I wear it today and find it so very comfortable and attractive. FLAX is in unique shops across the US and Blue Fish stands alone in Iowa, New Mexico and New Jersey. They can be very helpful on the phone and both have websites. Susan: I agree J. Jill is a good source for EF type clothes at lower price. Liz: I know both brands and in fact have worn pieces from them. eBay is a good source for them, new and used- especially Flax. When I was in India the lightweight Flax linens were the only clothes I could wear! Mme: Thanks; I wish there were not such dread of buying plus sizes when that cut would fit (and look so much better than too-tight Missy cuts). Laura: As the Marina Rinaldi slogan goes, Style has no size! As stylist Stacy London says: "Dress for the woman you are TODAY." not tomorrow, not yesterday. Today is the day! Great post, Duchesse.